Low carb or no carb tacos | Low carb or no carb tacos – oh, that's tasty! Okay, so the astute observer will recognize that this is just a slight twist on my previous post, Seven-layer dip as salad. 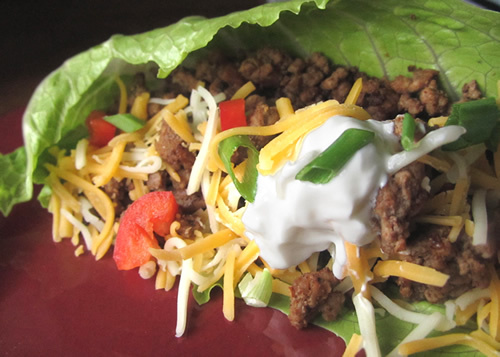 Just add seasoned ground beef — or another taco-appropos protein of your choice — and ya got yourself some no carb tacos!